I love dumplings! Who doesn’t right? There are many different types of dumplings from all over the world but the dumplings I totally utterly love is the Chinese dumplings – jiaozi and wontons. Both are different of course, the skins for both are different, wontons have a thinner and less elastic wrapping, and are usually boiled in light broth or soup and made with a meatier filling. My high school friend, M, took me to this little, cozy spot in Central call Sam Tor and they seriously have the best dumplings I have had thus far. The dumplings are meaty and juicy and they are HUGE! We had a bowl of just dumplings with choy sum and were totally and utterly stuffed! These little delights were so easy to eat, especially with chili. I probably couldn’t eat more than a bowl but seriously, they were unbelievable! 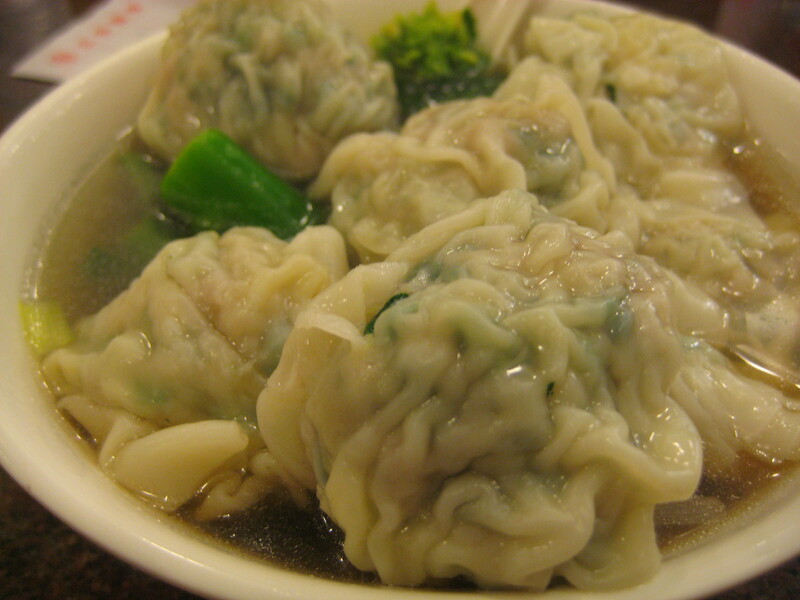 The menu is quite limited to different types of wontons, fish / beef balls with or without noodles. They also have tripe, pigs’ stomach, blood and liver. However, I think the dumplings are an absolute winner! I, for one, was deliciously full and was ready for an afternoon nap! If you haven’t been, try them for yourself! They are delectably meaty and juicy and value for money!